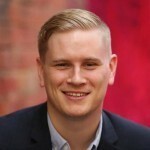 There is merit in the OECD's call for countries including Australia to review the minimum wage, writes Professor of Economics at University of Canberra, Phil Lewis, in this article originally published in The Conversation. “Time is running out to help workers move up the jobs ladder” – at least according to the OECD’s latest employment outlook. The somewhat gloomy report points to unemployment rates exceeding 11% in most European countries. Around 42 million people are without work across the OECD. That’s down from 45 million in 2014 but still 10 million more than just before the global financial crisis. However, the unemployment rate is below 6% in the USA and below 4% in Japan, Korea and Norway. For Australia, last week’s ABS release had it at 6%. In many respects the report relates mainly to a European economic disease of which the Greek fiasco is but one symptom. 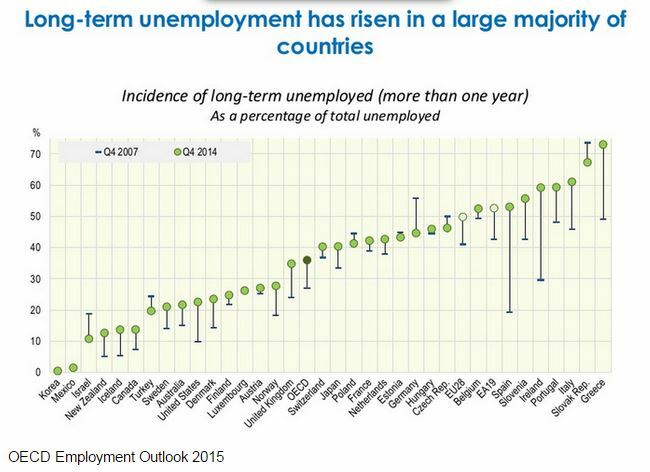 The jobs outlook is improving but the OECD says unemployment is still too high. Persistent long-term (over a year) unemployment, high youth unemployment and persistent unemployment among certain groups remain a problem for OECD countries, with many retrenched workers either unable to return to employment, or “more experienced job losers who have fallen down the ladder” accepting lesser-paid low-skilled jobs. The OECD takes the view that there can and should be government intervention to solve this problem. For most, according to the OECD, part-time work is “involuntary and reflects a shortage of opportunities for full-time employment”. First, effective activation measures are needed that connect jobseekers with suitable jobs. Second, skill deficits in the workforce must be addressed since one of the strongest predictors of poor career outcomes is a low level of skills. Third, direct measures to raise job quality have an essential role to play, especially in shoring up the earnings of low-paid workers. The first two policy responses are relatively uncontroversial and are well-trodden paths pursued for years in OECD countries without much notable success. Every country has variations on job-matching agencies, such as JobSearch in Australia. We know education, training and skills are the key to employability but, generally, research shows that education and training after becoming unemployed are too late and ineffective. Can raising the minimum wage raise job quality? The third proposal is a strange one in that it implies governments have the ability to “raise job quality”. For those looking for an exciting new way of radically changing the labour market, from what it is to what you would like it to be, the proposed solutions will be a great disappointment. “a tool to ensure fair wages are paid, raise wages at the bottom of the wage distribution, and protect workers and their families from falling into poverty". The OECD maintains, again somewhat boldly, that “reasonable” increases in wages do not reduce jobs, which surely would make workers fall into poverty. Having said this, the OECD does, however, want a higher minimum wage to “translate into higher take-home pay while limiting the rise in labour costs for employers". What the OECD suggests is wholesale reviews of the minimum wage and social security systems in countries, including compensating employers for higher minimum wages. The Australian economy has undergone significant structural change over the past four decades. Industries have also embraced new technologies and have become increasingly involved in the global economy. While overall Australia now has a more highly skilled workforce and a more efficient economy, the changes have also been associated with persistent structural unemployment, which continues to be a major policy challenge. The OECD suggestion of a major review of the minimum wage and social security system is a good one for Australia.